PwC has instructed CAPA to undertake audits on nearly 60 sites at Palmer & Harvey – the wholesaler for 90,000 convenience stores – after the business entered administration. Palmer & Harvey was one of the UK’s largest wholesalers up until late last year. The company also acted as a distributor to a range of stores, from small corner shops to Britain’s biggest supermarkets, but administrators from PwC were called in last November after severe trading conditions hit the group. Eight companies within the group were placed into administration on November 28 2017 and the administrators – Matthew Callaghan, Ian Green and Zelf Hussain – are now working on a wind-down and closure of the businesses. CAPA’s role will now be vital in recovering hidden pockets of cash for creditors that would otherwise remain undiscovered. Following PwC’s instruction, CAPA’s team of auditors will undertake a forensic analysis of 59 Palmer & Harvey properties, scrutinising outgoings and data on invoices owed to the business. CAPA’s auditors will use bespoke software to uncover multiple elements such as errors in utility bills, or overspend by the companies on various payments to suppliers. The team will then recover the cash to repay the wholesaler’s creditors. 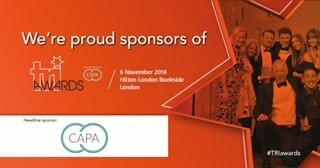 On all but three of the 59 properties, CAPA will also undertake an audit of rates, assessing and uncovering any issues in payments to find more cash for the creditors. Palmer & Harvey had been a partner for retailers and suppliers for nearly 100 years before entering insolvency.